With the arrival of “summer” in San Francisco came the openings of some of our favorite new bars and restaurants of 2017, including not one, but TWO new rooftop bars, a casual eatery with some of the best rotisserie chicken we’ve ever had, an adorable new date spot in the form of a wine bar and oysterette, a sports bar with a killer patio, and what we think is one of the coolest cocktail bars to currently exist in the city. And sure, two of the places on this list are billed as “secret,” but if you haven’t caught on by now, we’re going to let you in on any secret worth sharing. We can’t help it. It’s just who we are. There’s a new hotel across from AT&T Park and a new hotel means a new hotel bar. But in the case of Hotel VIA, it actually means TWO new hotel bars. 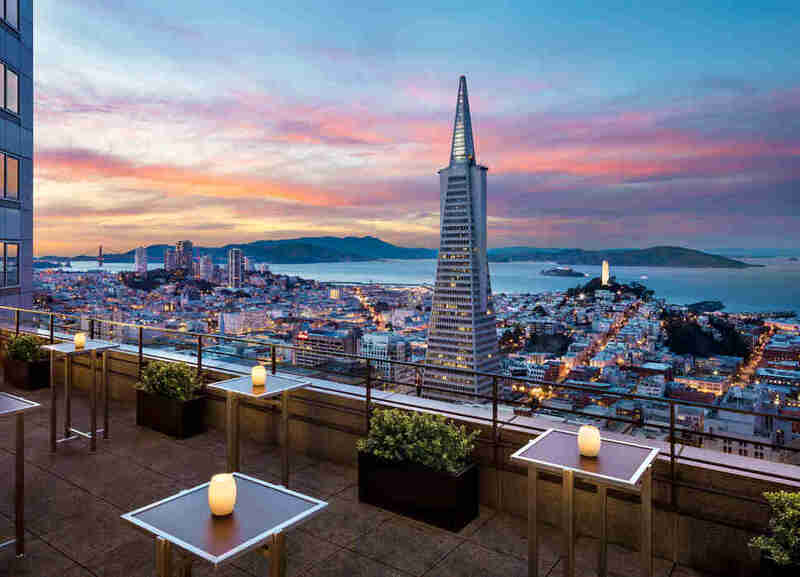 The one we’re most excited about is Rooftop at VIA because if there’s one thing SF needs more of, it’s rooftops with bars. 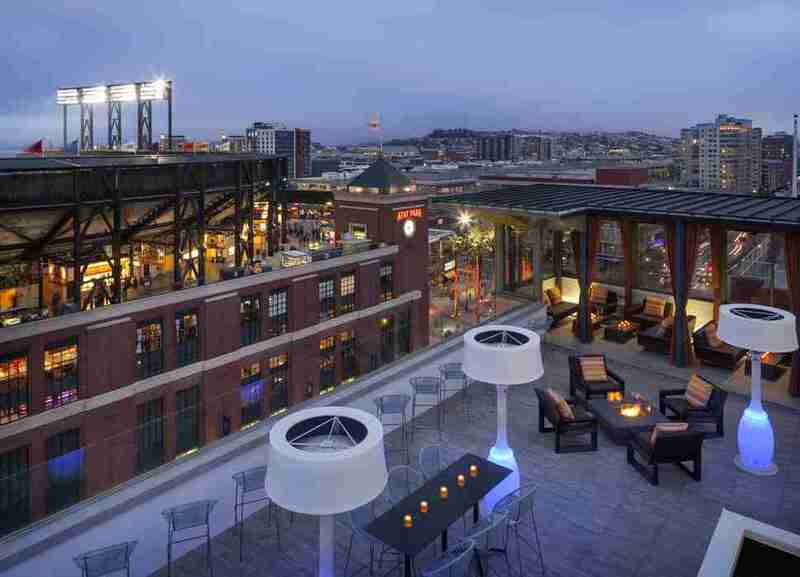 This particular 3,000 square foot rooftop lounge boasts gorgeous views of the ballpark, the Bay, and the skyline, as well as private cabanas and open-air fire pits. Only problem? Right now, the only way to partake in the glamor is to shell out a $1,000 cover charge (which gets you a cabana for six, a bottle of Champs, and some light bites) or be a hotel guest. Now we don’t want to say we’re mathematical geniuses, but we did a little figuring and since rooms currently start at $199, you and five friends could get three rooms for $600, get access to the roof bar, and use the extra $400 to buy your own bubbles... and still have a couple of Benjamins leftover. Not in the mood to spend that much to drink on a roof? In that case, check out Bar VIA on the street level. 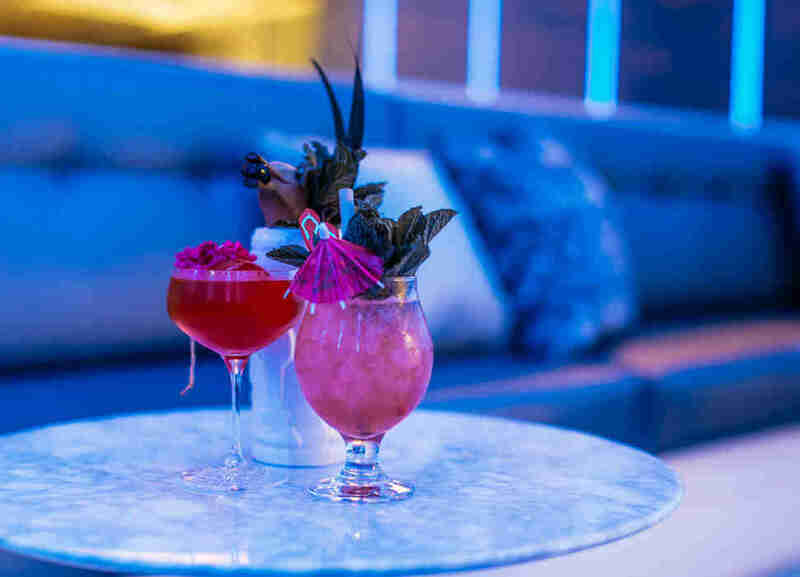 It’s got remnants of a Miami vibe and aims to be a more upscale destination for people looking to get a drink on game day (or any day, really). There are seasonal small plates, plenty of beer, boutique wines, and, of course, handcrafted cocktails. We’re big fans of the bar-within-a bar trend that’s so hot in SF right now, but we’re even bigger fans of the trend when the bar-within-a-bar is a secret Tron-inspired bar that’s hidden inside of Coin-Op, the enormous bar arcade with all of our favorite retro arcade games. But what’s so cool about The Grid (named for the “digital frontier” in the Tron system) is that it is a total respite from the flashing lights and beeping sounds; there are no video games in The Grid -- just a very white, very clean, very futuristic space with comfy banquettes, Lucite bar stools, and glowing light cycles reminiscent of the Grid in the film. And considering Tron’s Grid was made to provide an experimental platform for programming, it only makes since that bar manager, Jason Huffman, is using the Grid in Coin-Op the same way... except for cocktail programming instead of that boring software stuff. What’s happening behind the bar at The Grid is some of the most interesting cocktail magic we’ve seen in this city in a while; Huffman is playing around with science, botany, and color and the results are not only visually stunning, but utterly delicious. Make it your goal to taste through the entire menu, but if you’re a Star Wars fan, then be sure to get the Sing Sling, a variation of a Singapore Sling served in a Star Wars tiki mug and garnished with a banana that looks like a dolphin. If you like your cocktails served with a souvenir, then order the Bee Original: Sipsmith London, Suze, and a simple syrup made with beer pollen, poured over an orange ice sphere, and garnished with a flower on which sits a honey bee charm that you can keep. Despite opening its first location in San Francisco (there are now almost 30 in California), Ike’s Place hasn’t had a home here since it was booted from its original location in the Castro. 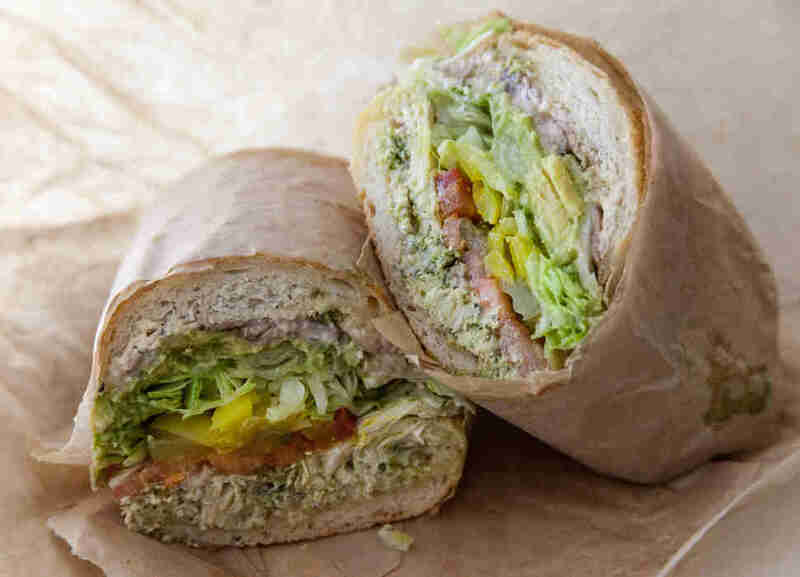 Ike’s planned to team up with Castro’s Sweet Inspiration when it lost its lease, but since it’s now a successful chain, it wasn’t allowed to for legal reasons. Sure you could still order sandwiches that were very similar from “Mike’s Place,” but -- long story short -- the official Ike’s Place is finally back in SF with a new flagship location on Polk Street, which means you don’t have to leave the city to feast on enormous and indulgent sandwiches, like the Matt Cain (Godfather sauce, provolone, roast beef, salami turkey), the Ménage a Trois (BBQ sauce, Cheddar, halal chicken, honey mustard, pepper jack, honey, Swiss), or one of 400 “secret” sandwiches not on the menu. You love Marlowe, The Cavalier, Park Tavern, and Leo’s Oyster Bar, so we know you’re also going to love Petit Marlowe, the new Parisian-inspired neighborhood wine bar & oysterette from the same team. The intimate space is impossibly charming with lots of French flea market finds, pale pink Italian leather banquettes, and an iron-streaked marble bar... the perfect setting for a first (or third) date. 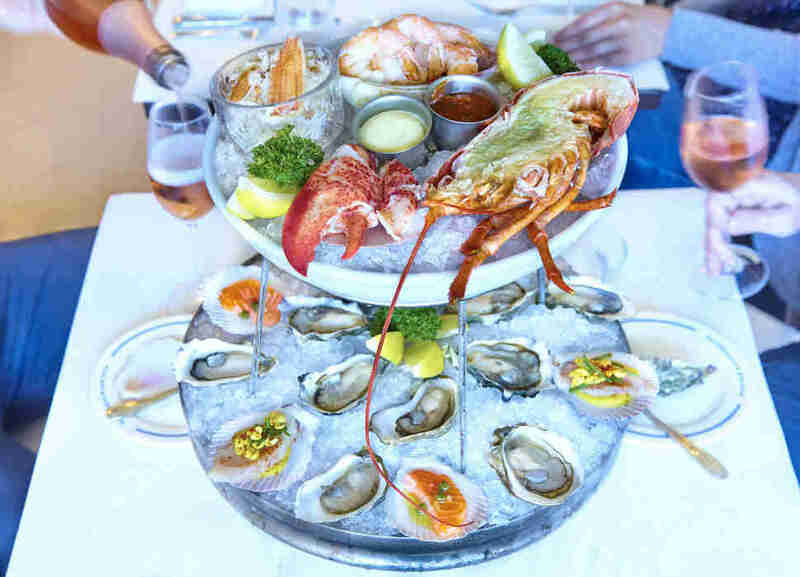 But it’s the food and wine that made us fall in love, specifically the raw bar with caviar, crustaceans, and crudo, the trio of tartares (scallop, beet, and côte de bœuf), the charcuterie, and all of the deviled eggs. The wine selection is also well-curated and incredibly approachable with a couple of beer and cider selections as well. 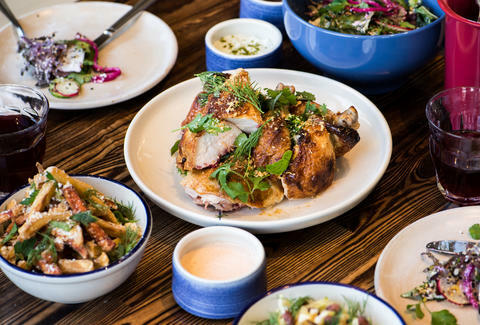 RT Rotisserie, the new counter-service spot from the folks behind Rich Table, was the most highly anticipated restaurant to open in June and it lives up to the hype. The menu is simple: a couple of sandwiches, a couple of salads, rotisserie chicken and cauliflower, and a few sides. That said, literally every single thing offered is full of flavor and crave-worthy. 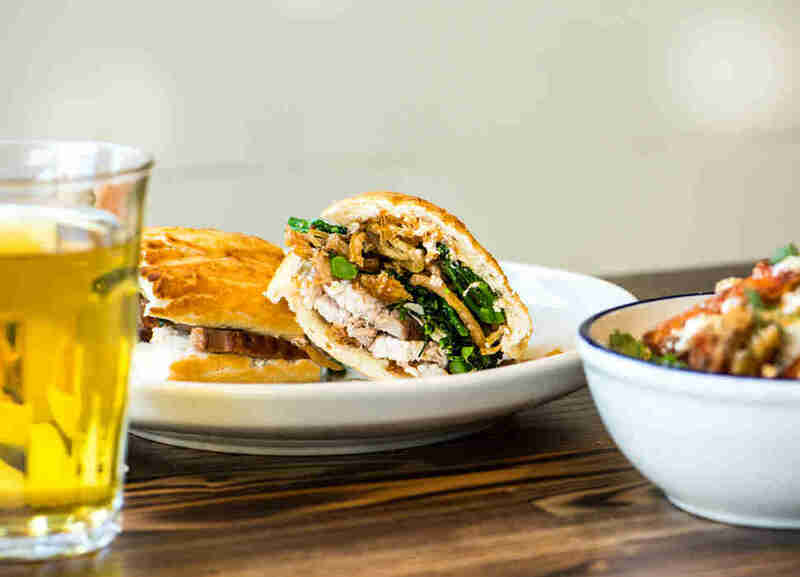 The key is to go in often (or order for delivery from Caviar), so that you can work your way through the entire menu, but for your first visit, we recommend ordering the pork sandwich served on a house-baked Dutch crunch bread and a beer (the tap rotates but it’s always from a local brewery) to enjoy there, and taking a half-chicken to eat later. The umami fries and charred cabbage & almond are also not to be skipped. Again, it’s all good, so while you’re for sure going to over order, just remember: You’ll be back sooner than you think. Two new rooftop bars in one month? What’s happening in this city? The good news is that this one doesn’t demand an insane cover charge to get in. The even better news is that this outdoor cocktail bar on the 40th floor Sky Deck of Loews Regency has some of the best views we’ve ever seen. The Transamerica building is so close, it feels like you could stick your arm out and touch it. You can also see Coit Tower, Alcatraz, the Golden Gate Bridge, Angel Island, Treasure Island... the list goes on and on. It can get a little windy, but the intimate space has heat lamps to keep you warm... and the Old Fashioned concocted in the cocktail smoker with hickory and applewood will keep you even warmer. If you’re a sports fan who lives in SoMa, then we have great news for you: Your new favorite neighborhood sports bar just opened on Folsom Street. Trademark has seven TVs, great drinks, tasty Asian-inspired food, and boozy ice cream treats. But even if you’re not a sports fan living in SoMa, we have a feeling you’re going to be pretty stoked about this new bar. Even though it bills itself first and foremost as a casual sports bar, it’s much more. There’s a huge outdoor patio where you can sip on tasty cocktails in the sun. Also: Pop-A-Shot, Skee-Ball, and custom beer pong tables. AND (we’re not done yet) it boasts a bar-within-a-bar. Because when SF finds a trend it likes, it goes all in. Trademark is where you go to yell at the TV, high five, and drink beer. Its sexier “secret” sister bar, Copyright, is where you go to have intimate conversations, canoodle on comfy couches, and sip literary-inspired craft cocktails. Something for everyone and every mood. And you can’t go wrong with that. Daisy Barringer is an SF-based freelance writer who’s terrible at keeping at secret. But tell her all of yours anyway on Twitter @daisy.